Manchester United reportedly face transfer interest in out-of-form defender Eric Bailly from Premier League rivals Tottenham and Arsenal. According to the Daily Star, the £30million-rated Ivory Coast international is a target for both north London sides ahead of January as he looks to have fallen out of favour at Old Trafford. Bailly initially shone when he joined United from Villarreal, but has had injury problems and now looks unconfident after being in and out of a struggling side at United this season. 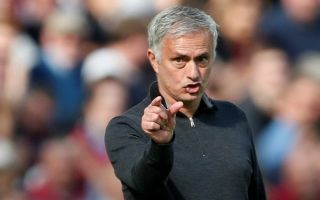 Spurs could be the ideal stage for him to revive his career, and the Star note that Red Devils manager Jose Mourinho could be tempted to use their interest to try and negotiate a swap deal that would bring Toby Alderweireld to Manchester. The Belgium international would surely be an upgrade and bring in the kind of quality and experience so sorely lacking in this MUFC side at the moment. That arrangement would be a big blow for Arsenal, however, who are also mentioned by the Star as suitors for Bailly. The 24-year-old could be an ideal signing to improve the Gunners’ defence, which has looked suspect on occasion this season despite the team’s improvement under new manager Unai Emery. Doubts remain over players like Shkodran Mustafi and Rob Holding, while Laurent Koscielny has missed the start of the season through injury.